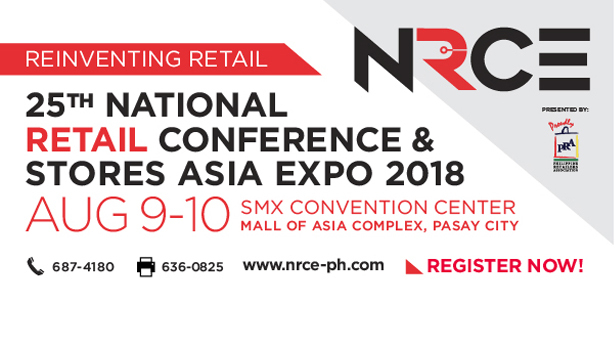 The Philippine Retailers Association (PRA) will be holding its 25th National Retail Conference and Stores Asia Expo in SMX this August 9-10. We asked some of the PRA officers to update us on retailing trends. Question: The biggest internet-only retailer in the Philippines claims to have 100 million hits a day. 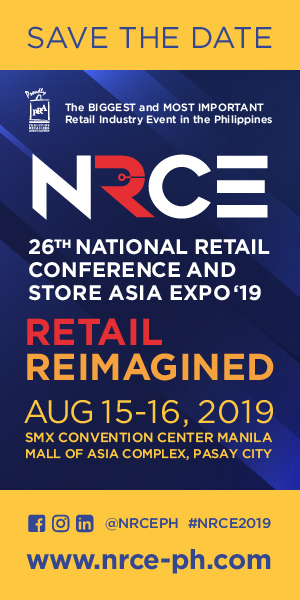 What is the state of store retailing in the Philippines? Samie Lim, Blims Lifestyle Group chair and PRA chairman emeritus: While the Philippines is one of the fastest growing e-commerce market in Southeast Asia, the country [has yet to embrace] online shopping, which shares only about 1-2 percent of our total retail value. Brick and mortar stores remain relevant in the Philippines as we see malls and retail businesses continue to expand. Filipino culture [shows] that we like to go out with family and friends whether to eat, watch movies or shop. Moreover, given the fact that we do not have a lot of other attractions in cities like parks or museums, the mall is usually the go-to place for Filipinos to hang out, which is a one-stop shop for all our needs from stores, food and services, while staying comfortable. Countries where e-commerce sales are thriving are considered cash-rich, time-poor societies. [This means] they have money to buy, but do not have a lot of time to do personal shopping. Unlike in the Philippines, a cash-poor and time-rich country, we have a lot of time to do our personal shopping… It is often a “Filipino trademark” to enjoy haggling to get the best deals when shopping. For these reasons, we see that brick and mortar stores are here to stay. Question: Technology has been viewed as a cost-saver, but it has now become a customer experience differentiator. What are the key technological trends we are seeing in the Philippines? Jorge Mendiola, SM Retail Inc. director and PRA vice chair: Technology, specifically digital innovation, plays a big role in retail. Not only through online shopping, but in brick and mortar stores as well, bringing in digital touch to customers’ experience can give businesses huge advantage. While the Philippines may not be a leader in terms of digital innovations, [we notice here] internet and social media play big roles in helping people discover and patronize more retail businesses, whether it is a new place where they can eat or get reviews on a certain product they are planning to buy. Chatbot, the artificial intelligence embedded in messaging apps, is also utilized by key retail stores to make customer service more convenient. Financial technology is also becoming a trend in the country, [thanks to] digital payments through QR codes or apps utilized in major malls and retail stores. For entertainment in retail, augmented reality is also a key factor in driving customers to their stores. While digital technology is a big boost, retailers should not forget that retailing is customer service and customer experience and that at the heart of the business, the quality of service they provide will determine success. Question: Amazon started opening retail stores in the US way back in November 2015, acknowledging that pickup is cheaper than door-to-door deliveries. It also enabled them to provide the retail experience book buyers enjoy. Do you see online retailers eventually going into the physical store space as well? Frederick Go, Robinsons Recreation Corp. president and PRA vice chair: Yes, online retailers have started using physical stores as pickup points for their products. These online retailers are also joining bazaars and exhibits in malls. A lot of customers who view products online go to brick and mortar stores for better shopping experience. There, they can try out the shoes, clothes, etc. before buying. “Bricks and clicks” is indeed an emerging trend these days, especially for younger customer segments. Shoppers need accessible locations currently offered by malls. It is more impactful and successful for brands to combine both online and offline sales channels. Brick and mortar stores still act as showrooms and venues. Customers can have better experiences in trying out products that they want to buy. Question: What does your Outstanding Filipino Retailers award tell you about how to be an outstanding retailer? 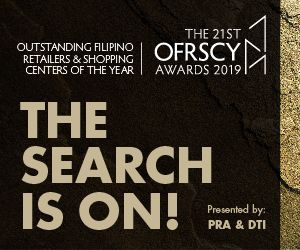 Rosemarie Ong, PRA president and Wilcon Depot Inc. senior executive vice president and chief operating officer: The award seeks to recognize Filipino retailers who have epitomized the model of a successful retailer in terms of growth, creativity and best business practices. It also distinguishes exceptional local retailers who exemplify ingenuity and creativity that make their business stand out in the ever-dynamic retail industry. 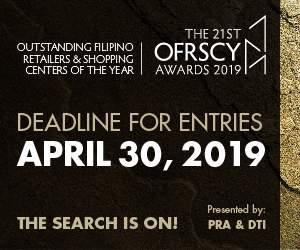 The Outstanding Filipino Retailers Awards encourage Filipino retailers to adopt world class standards and practices to become globally competitive. Question: How does an omnichannel retailer ensure brand loyalty? Ben Chan, Suyen Corp. chair and PRA director: Bench reflects Filipino traits and values that our customers can identify with. 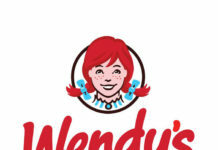 It is a brand that our customers grew up with and it has, in many ways, evolved alongside them. We understand our market’s needs, their habits and their psyche, and we have become their go-to brand because we stand for much more than just fashion. Rather, we are committed to forming, maintaining and developing a global lifestyle that is proudly local in its origins. It is in understanding our customers that we send a unified message that goes across all channels: TV, print and outdoor media, and these days, our presence and engagement in social media and e-commerce. Bench delivers consistency in the service that our loyal customers experience through whichever channel they use, be it in our physical stores, our e-commerce site or the various social media platforms where Bench is present. Question: Which retailer, local or foreign, has a customer loyalty program that is highly differentiated? Donnie Tantoco, Rustan Commercial Corp. president and PRA director: The loyalty program that I think is the best is Tesco’s. I have not seen a loyalty program that good especially for a retailer selling basic necessities. It has one of the highest engagements because they use a combination of data and human interaction to sincerely and passionately understand their customers as persons, as clusters that have similar lifestyle, and they organize solutions that squarely meet their needs and aspirations. This is unlike other mass retailers that claim to be tailoring their offers and services to specific [cases] but are actually doing a one-size-fits-all approach. Tesco uses its loyalty to build a long-term relationship with its customers, and they are willing to pay the price and take the risk to build and sustain that relationship. Question: Many members of customer loyalty programs are also members of competitors. There is hardly any shifting cost. What does it take to become a preferred retailer? Paul Santos, Picture City president and PRA chair: At the outset, before even implementing a loyalty program, a retailer must determine the kind of incentive customers best respond to. Whether it’s a discount, a premium item, exclusive buying opportunities, or some other reward, it’s a retailer’s responsibility to do research and implement the conclusions of the same. That said, however, its competitors are surely doing the same. As a consequence, customers are spoiled for choice more than ever. How does a savvy retailer continue to seize customers’ attention when everybody is offering a loyalty program, besieging them with incentives left and right? To do so, it must be diligent in performing three vital tasks: first, by diligently mining its data for insights and correlating that with actual customer behavior in and out of the store; second, by crafting an appropriate response as a result of those insights; and most importantly, effectively communicating the same to its customers. By asking the right questions, many insights can be obtained from all that data generated by a retailer’s point-of-sale system and loyalty programs. It is now possible to rapidly modify existing rewards offers in reaction to changing conditions. A loyalty program participant will appreciate offers that continue to add value to her busy life, and will most likely act on it. It is the astute retailer who frequently studies the information it has on hand to create useful offers, even commissioning one that’s tailor-made for certain consumer categories, thus making its rewards system stand out all the more. Yet, any course of action a retailer may take, no matter how perfect it may be, will be all for nothing if a loyalty program participant is ignoring it. For a loyalty program to remain relevant, it is essential a retailer constantly interacts with its members. Fortunately, today’s technology makes that job much easier to implement. For example, a system anchored on a smartphone app, supplemented by e-mail and social media, makes it possible for a retailer to catch a consumer’s attention from many angles. 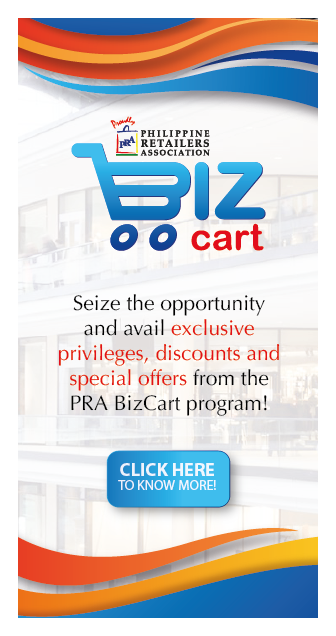 A retailer must not assume that a consumer will inherently act on the merits of an incentive offer. She must be reminded—frequently, if possible—of how that adds value to her life. A retailer who strives to maintain these links will remain top of mind. Question: What metrics must retailers pay attention to? Are there new metrics that retailers need to start paying more attention to? Lorenzo Formoso, Ace Hardware board advisor and PRA vice chair: Retail is a dynamic industry, and trends and metrics change through time. Before, the metric of retail is all about inventory management—its sourcing and inventory control to avoid stock outs. Lately it has been merchandising management: the advent of focus on fashion shops and other retail categories required the development of concepts and monitoring of trends. Now, retailers have started paying more attention to customer service and satisfaction. Technology has brought about ease in knowing the customer. The advancements in technology provided more channels and forms of retail which made customer service the metric of retailers nowadays. Focus is now shifting to personalized, efficient and quick shopping systems.